Put your bee control in the hands of a specialized licensed pest control professional, and you won’t be disappointed. There are many reasons why you should only turn to licensed professionals for anything you need done at your Lakeland, Florida home or business. The liability involved with doing otherwise isn’t worth what you might save upfront, potentially making your project far costlier. The same is true for pest control. 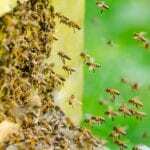 Here at Florida Bee Removal, we recommend only dealing with a licensed pest control company, particularly when you have a stinging insect problem. We carry the licenses and insurance required to provide specialized pest control, so you can feel confident knowing you are not at risk by any of our actions. 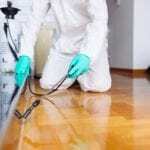 Another reason why it is best to go with a licensed pest control company is because if someone won’t go to the trouble of obtaining the requisite license, you have to wonder what else they’ll not bother themselves with, such as using the right products or following safety protocols, thereby putting themselves and everyone on your property at risk. As a licensed pest control company, we make sure our technicians have received extensive training regarding stinging insects and continue to update their knowledge with workshops and seminars, so we are always current with the latest developments in this industry. We don’t cut corners in any way, as we are passionate about keeping you, your property, and other occupants safe from harm. If you have any questions about our company or why we believe we are your best option for licensed pest control with specialized services for stinging insects, don’t hesitate to contact us. Don’t “bee” a hero – let us save you from the sting!